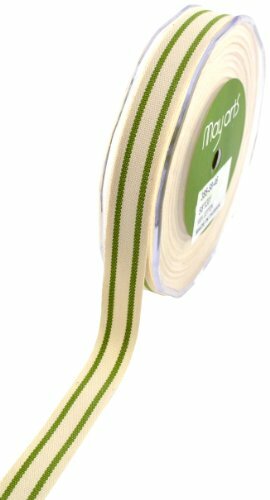 This 5/8-inch wide by 30-yard roll of natural organic cotton ribbon features two rows of celery stripes. Perfect for a variety of sewing projects from clothing to tote bags. Accent scrapbook pages and handmade greeting cards as well as home decor projects. Tie on small gift bags and packages. Available in a variety of colored stripes.